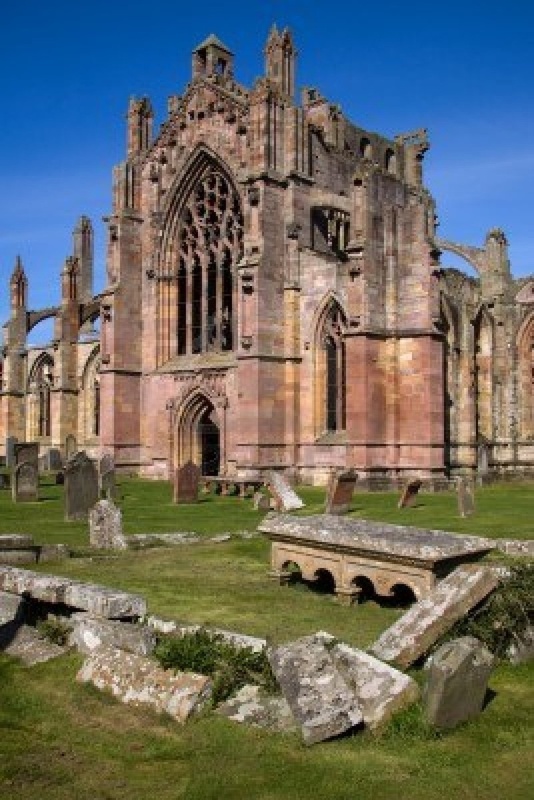 Melrose Abbey is a Gothic-style abbey in Melrose, Scotland. It was founded in 1136 by Cistercian monks, on the request of King David I of Scotland. It was headed by the Abbot or Commendator of Melrose. Today the abbey is maintained by Historic Scotland. The east end of the abbey was completed in 1146. Other buildings in the complex were added over the next 50 years. The abbey was built in the form of a St. John's cross. A considerable portion of the abbey is now in ruins, though a structure dating from 1590 is maintained as a museum open to the public.